These are inter-related in any case. Bone spurs may cause pressure on cervical nerves and can also cause shoulder pain. 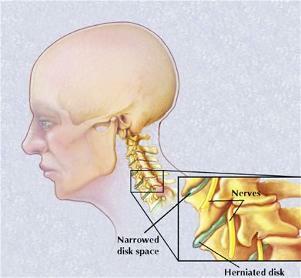 Cervical spondylosis causes bony growths on spine, herniated disc and calcium build-up in discs. This can be more painful when it causes compression of other nerves nearby. Blood flow in many nerves is severely affected in this way.